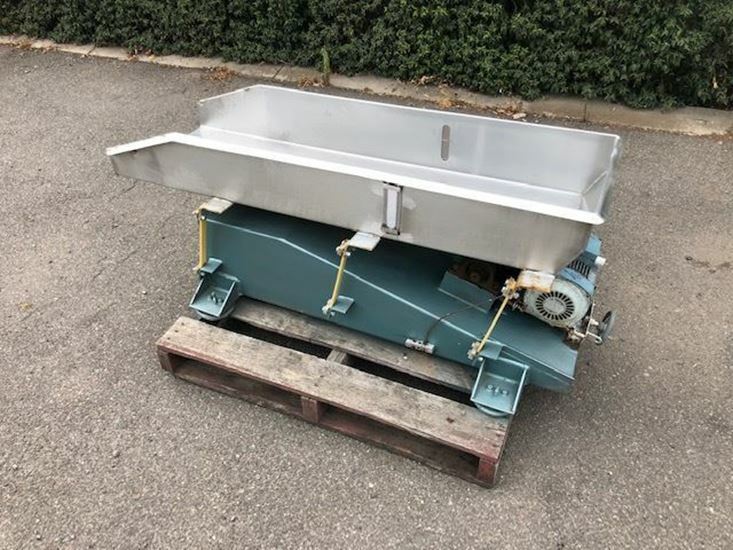 Stainless Steel vibrating feeder/conveyor. 460mm wide x 1.5 mt long. Complete with 0.75kw ASEA drive and eccentric pulley to make it vibrate.